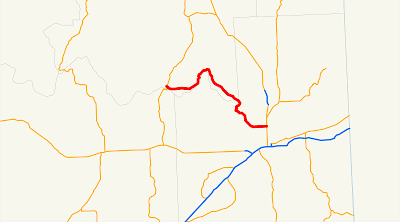 On Sunday, May 25, 2014, we drove the length of Washington State Route 291, down the Spokane River. 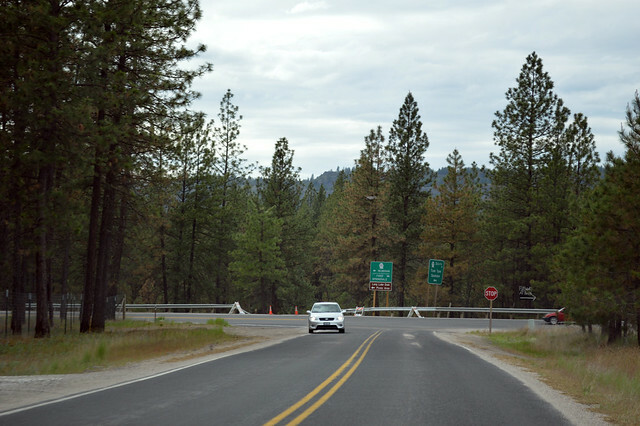 Beginning at a junction with state route number 2 in Spokane, thence northwesterly along the north bank of the Spokane river to the vicinity of Tumtum; and thence southwesterly along the north shore of Long Lake to a junction with state route number 231 in the vicinity of the Little Falls Dam. 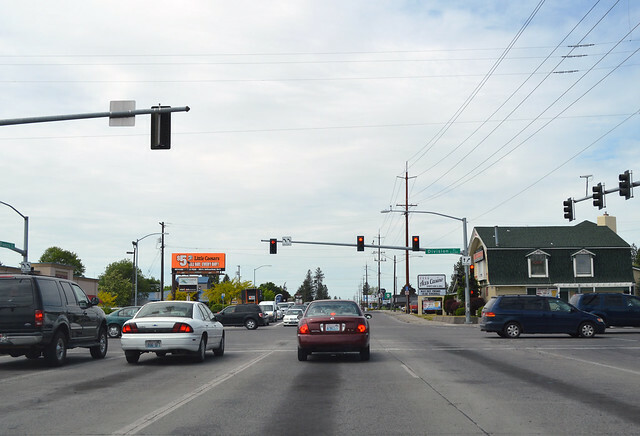 A mile north of Northtown Mall, Highway 291 begins at a junction with US 2. 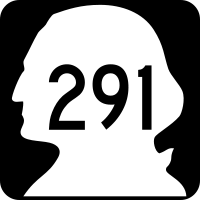 It's also signed US 395, even though it's not officially State Route 395 per code, but that's okay, because SR 291 is numerically a branch of Highway 395, and it's good for the branches to meet their parent routes. West on Francis Avenue is northbound 291, naturally. Three miles through old suburbia, we dip down into the Spokane River canyon and turn northwestward. After a hike over the river and through the woods at Riverside State Park, we continue driving. Nine Mile Falls is Nine Mile Dam, plus a town. Just past the old Fort Spokane at the Little Spokane River, we climb back up to a bench with a town called Suncrest. This is about halfway from end to end on our highway, so a photo. 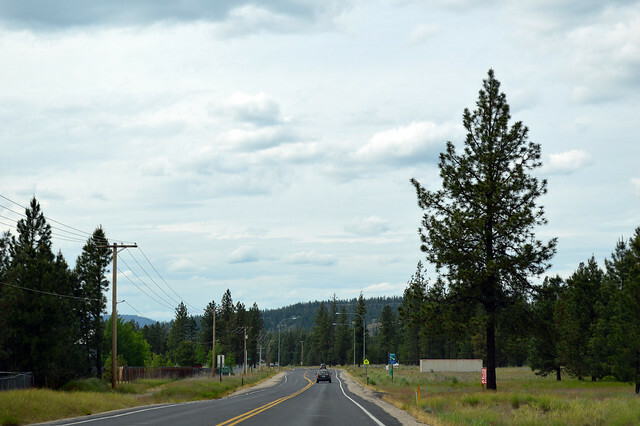 After several miles mostly northward along said bench, Highway 291 drops down to the Spokane River, which is also Long Lake, a.k.a. Lake Spokane. It's a broad, smooth lake, its shores dotted with pine trees and homes. Welcome to Tumtum. The scenic drive then turns south, literally. As the river bends, so does the road. We switchback up the hill, our route cut through the rock, until we arrive back on the bench, back on the level. Rocky excitement gives way to open fields and straight stretches of highway. We pause for a moment to view the Long Lake Dam (which apparently was once known as the Little Falls Dam, or else the route description in the code is far off), then continue the short distance to this junction with SR 231. And just like that, our drive of Highway 291 is ended. 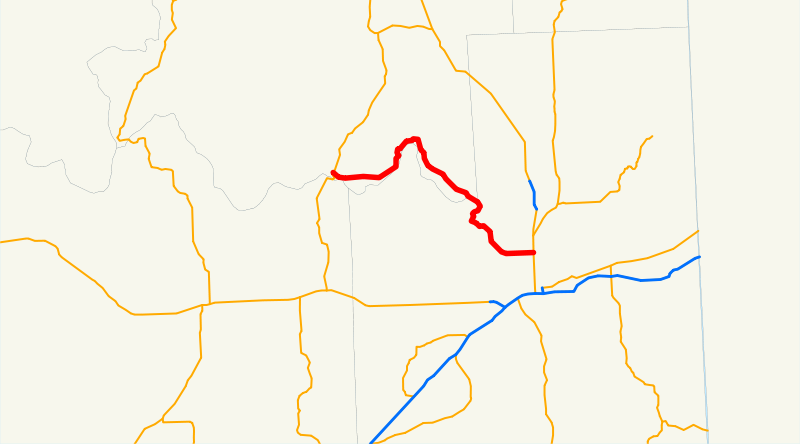 From the city to the wilds, through forests and fields, along long lakes, cliffs, and towns, one question remains: why did they label this route north-south instead of east-west?